Sometimes, the weather can be really, really harsh – especially in the winter. 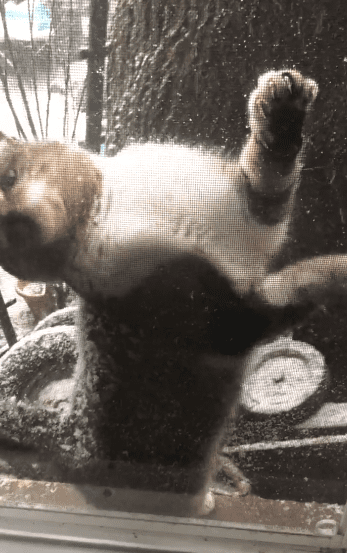 With record-setting temperatures in Chicago and tons of snowfall and blizzards all around the country, more and more stray animals find themselves trapped in very severe weather circumstances all the time. Just after New Year, a polar vortex made its way to New York City, and every street was quickly covered in a very thick blanket of pearl white snow. Weather reporters called it a “snow squall”, and the weather was so severe that plenty of people were forced to work at home instead of going outside. Nathaniel Styer was one of those people who worked at home for the day, and his heart broke when he spotted a stray cat outside of his window. 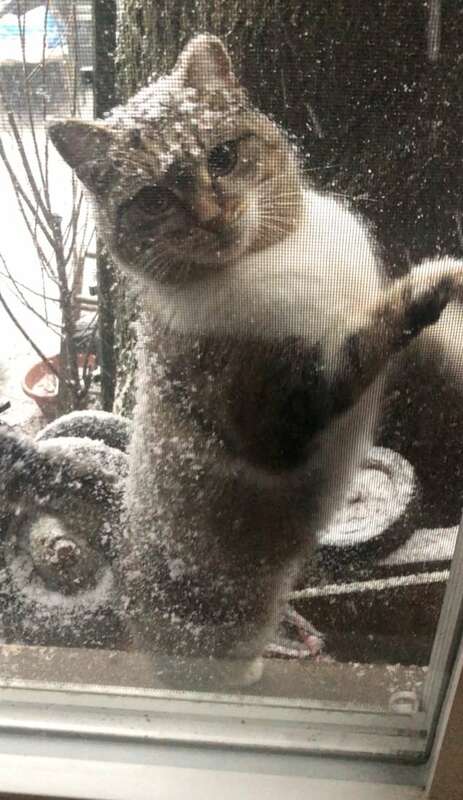 The man was sitting inside in the warmth, and this poor kitten just wanted the same instead of staying in the freezing cold. 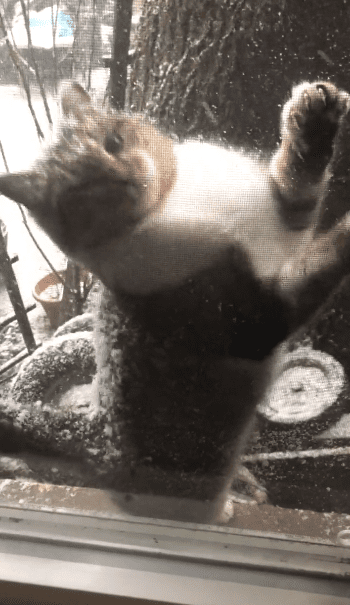 The tabby four-footer seemed to be in a complete and total panic state, as she furiously hopped on the window ledge and was scratching anything she could find. 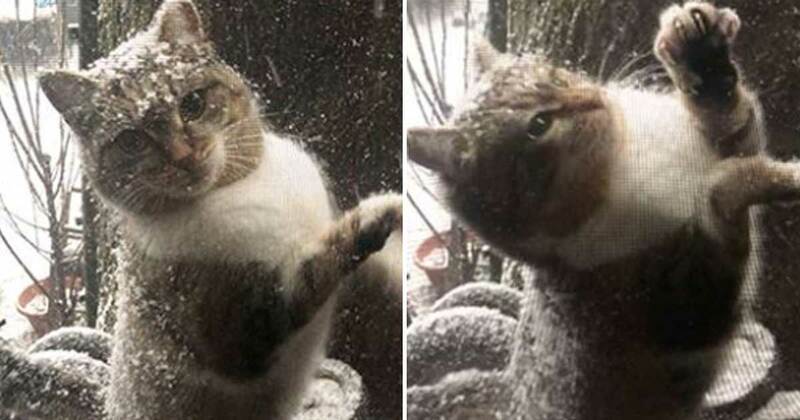 It’s as if the poor cat was begging to come inside. “She was 100 percent asking to be let in,” the man later said to The Dodo. It was quite the coincidence, but Nathaniel actually recognized the cat that was outside of his window. The feline is referred to in the neighborhood as ‘Chunk Chunk’, and is a known member of a local colony of stray cats. Because the man had prior interactions with Chunk Chunk, he knew that the feline wasn’t behaving normally. It’s possible that the polar vortex completely made her panic, which could have pretty severe consequences. Nathaniel’s soon-to-be wife Renee spends her spare time helping stray cat colonies and has known Chunk Chunk for a while now. Even though Nathaniel himself isn’t too keen on the stray cats in his street and around the block, he wanted to help this poor cat the best he could. 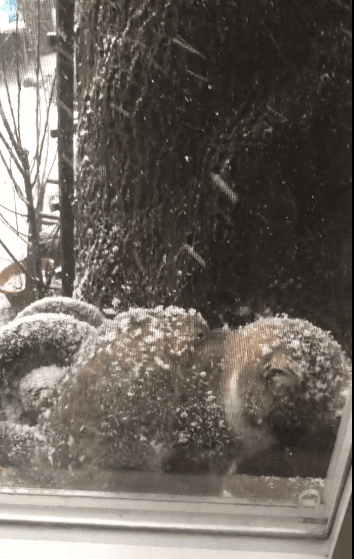 After all, this freezing kitten was in desperate need of some warmth – the man simply couldn’t refuse. Renee first came across Chunk Chunk a couple of months earlier, and she’s actually one of the newer members of the stray cat colony. It’s likely that Chunk Chunk simply didn’t know how to respond to a snowstorm or harsh weather conditions such as these. Without hesitating, he opened up his windows and let Chunk Chunk come inside. 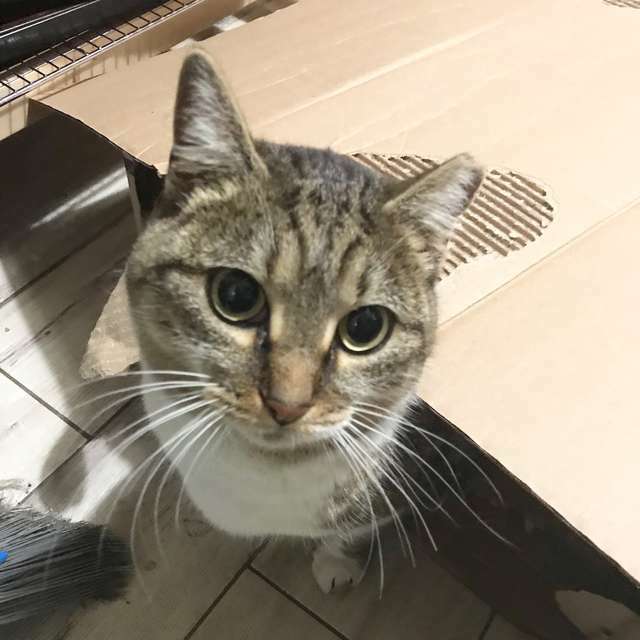 Even though the cat was considerably more safe and comfortable inside the couple’s apartment, she behaved somewhat strangely because she’s used to living on the streets. Luckily though, she was never aggressive, although she did try to run outside again. It’s possible that the couple’s dog might have scared Chunk Chunk resulting in her running around the house. Nathaniel then simply picked up the kitten and placed her in the bathroom, away from the dog, warm and safe. When Nathaniel’s fiancee Renee came home, she wasn’t too surprised to hear that Chunk Chunk made her way inside the home. The woman knows that Chunk Chunk is a super sweet and friendly cat, but she also knows that she had the tendency to stress out a bit. 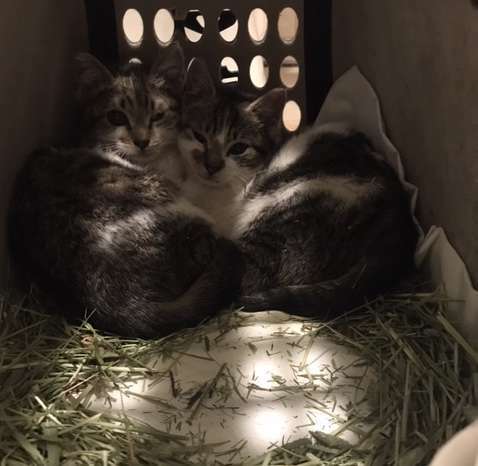 The animal rescue organizations in the area deliver good work, and it’s one of Renee’s personal goals to help as many stray kittens as possible by neutering and nursing them before they’re released again. They knew that Chunk Chunk was already spayed because she had a notch in one of her ears. The winter season can be absolutely devastating at times and it is without a doubt the hardest period of the year for stray animals. Renee has already built three winter shelters over the years, and she and other volunteers provide food on a regular basis. She also encourages people to buy or build their own winter shelters – aside from providing some much-needed shelter and a bit of warmth, it could end up saving a stray animal’s life. 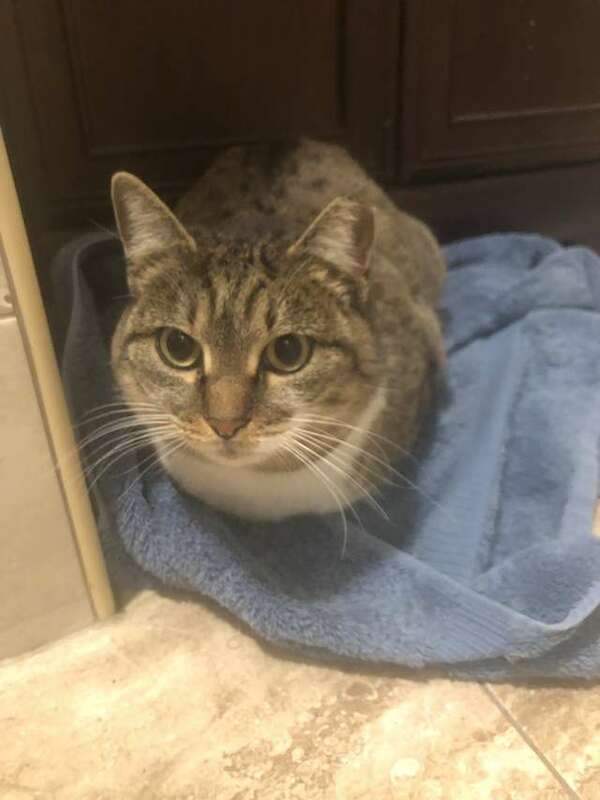 Chunk Chunk will now probably find a forever home, as rescuers think she’s not suited for a life outdoors. 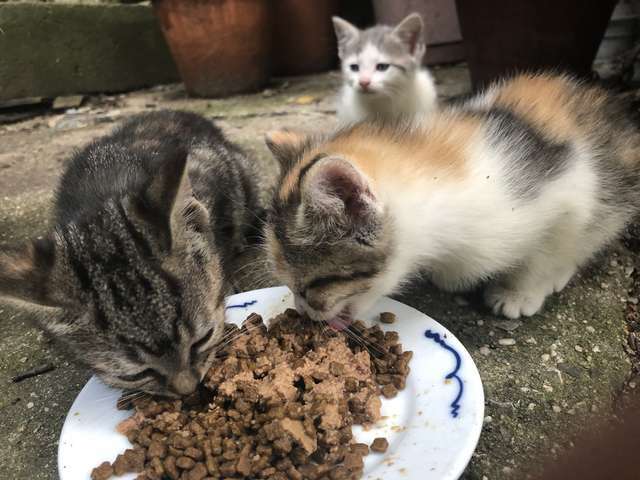 The couple and the ASPCA are still figuring out what the best course of action is, but in the meantime, the kitten will stay with foster parents Nathaniel and Renee. They’re currently trying to find her a home, so it’s likely that poor Chunk Chunk won’t have to endure a harsh winter outside again.